What does ESET SysInspector do? ESET SysInspector is an application that deeply inspects the computer and generates a detailed report of the current state of the computer. Gathered data are displayed in a comprehensive way with detailed description. SysInspector helps you to investigate suspicious system behavior often caused by a malware infection. Will ESET SysInspector tell the user directly what to do after encountering potentially dangerous processes, registry entries, network connections, etc.? No, ESET SysInspector is an analytical and diagnostic tool only. It will not advise the user what to do. Will ESET SysInspector generate a log with the users’ personal data thus attacking his privacy? No, when generating a system scan the user may pick an option to generate an analysis for public purposes. 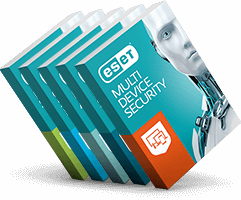 ESET SysInspector then scans the system while leaving out all private content. Is there a possibility to use command line parameters? Does the ESET SysInspector support key shortcuts? Yes, you can use the key shortcuts for file opening and saving, log generating, items filtering, etc.